How Will Peter Parker Fit Into The New Spider-Man World? For over 50 years, Peter Parker has served as Marvel’s main Spider-Man in the 616 universe (a.k.a. Marvel’s primary continuity)fighting crimes and cracking jokes on the comic book pages. Like many heroes, Peter is currently involved in Secret Wars, a massive event that is seeing heroes from across various timelines and universes fighting for survival on Battleworld. There have been been questions about what Peter’s role will be following the event series’ universe shattering fallout. Well, wonder no longer. When Secret Wars ends later this year, Peter Parker will come out the other side alive, but he’ll be sharing the mantle with someone else: fan favorite Miles Morales! As part of Marvel’s All-New, All-Different relaunch this fall (which will follow up on the Marvel players eight months after Secret Wars), the company revealed this past weekend Spider-Man #1 will be the debut issue of Miles’ ongoing series in the new Marvel universe. 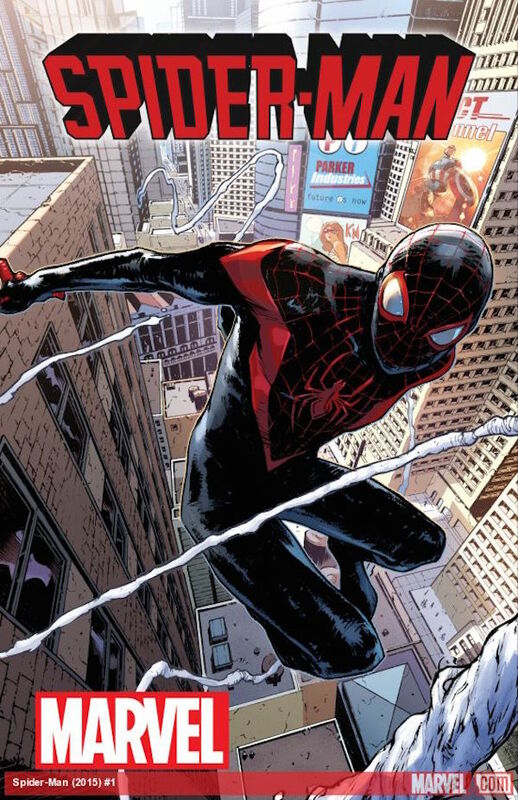 Co-created by Brian Michael Bendis and Sara Pichelli, the book will follow Miles as he explores this new world where he is a member of the Avengers and Peter Parker is still alive. The series will answer two key questions: “how did Miles come to be here in the first place? !” and “is this town big enough for two Spider-Men?” Although not directly stated, Peter is expected to continue leading the Amazing Spider-Man series, and with other characters like Silk, Spider-Gwen and Spider-Woman, the Marvel universe won’t have a shortage of Spider-heroes. After the Ultimate Universe’s Peter Parker “died” (of course it wasn’t permanent), Miles Morales was introduced in 2011 as his successor. Although he shares some of the standard Spider-powers like super strength and wall-crawling, he has a few abilities unique to him like venom blasts and camouflage. Miles and the main Peter Parker previously teamed up in the in the 2012 miniseries Spider-Men, which marked the first crossover between the 616 and Ultimate universes. Whatever the fallout is from Secret Wars, 616 Peter and Miles will now find themselves living on the same world, so evildoers now have two Spider-Mans to worry about in this new status quo. Peter Parker has had a rough time of over the last several years, from having his body being taken over by Doctor Octopus to teaming up with Spider-people across the Marvel multiverse against Morlun in Spider-Verse. While it’s great to see Miles getting the spotlight in his own book it’s also comforting that Peter will get to continue his crimefighting in this new universe. Aside from sharing the same supehero name, Miles and Peter have their own unique traits, so there’s no reason why they can’t operate at the same time and have a few team ups along the way. To draw a comparison with competitor DC Comics, it’s like how there are several human Green Lanterns, or how Barry Allen and Wally West served as The Flash concurrently for several years. You can find Spider-Man #1 this fall at your local comic book store or online at venues like Comixology and Marvel.com.